Unlike my co-bloggers, I'm never in much of a hurry to get a peek at the latest books on the market. There are so many good old ones clamoring for my attention that I don't ever expect to get caught up in my lifetime. Old tried-and-true classics have a certain staying power that very few new issues will manage to achieve. Some of the happiest hours of my childhood were spent browsing in Leary's, a now-defunct Philadelphia landmark. While new books were appropriately and respectfully displayed on the first floor, they were both beyond my budget and untested––who was this author? The upper floors became progressively disorganized––and cheaper and more interesting––as you climbed. On the dusty, cramped fourth floor, entire private libraries were shelved or stacked on long tables, awaiting cataloging. On the floor, stacks of old illustrated fairy tales and biographies rubbed shoulders with books of sermons published privately in earlier centuries. Maps and posters were rolled and shoved helter-skelter into cubbyholes along the walls. One lucky browser paid a quarter for an original copy of the Declaration of Independence, which he later sold for nearly half a million dollars. That fourth floor was my idea of heaven. To this day, discovering a dusty miscellany of books and maps in the back room of an old shop can occupy me for hours. "I recognize well-written noir when each sentence feels like a story unto itself; strung together those sentences form a book that feels somehow "more" than any other out there. 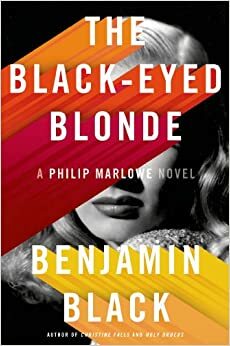 "The Black-Eyed Blonde" is such a book." What an apt description of noir at its best! Claire Cavendish, the required wealthy sultry temptress, hires Marlowe to find her lover. He had been reported killed in a car crash, but Claire is sure she has seen him since on the streets of San Francisco. Marlowe's investigation takes him from the steamy streets of Los Angeles to the homes of the Hollywood elite, with the kind of action and wonderful one-liners and descriptions you might expect in a good noir. I can't wait to read it. I sometimes wince at the creatively gruesome descriptions of the murders in Jeffrey Deaver's Lincoln Rhyme books. 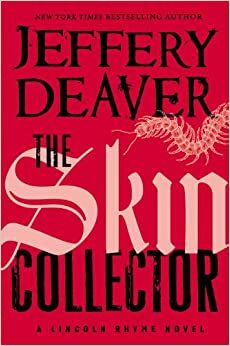 The Skin Collector (Grand Central Publishing, May 13, 2014) is the 11th book in this series. This high-tech horror series is the grisliest one I follow, mostly because of the characters of the paraplegic genius, Rhyme, and his lover and sidekick, Amanda Sachs. Behind the facade of a tall New York brownstone lies one of the most modern forensic laboratories in the world, where the paraplegic detective, who can only move one finger, and his small but devoted staff provide their services to police departments around the world. In this latest chapter, a talented tattoo artist murders his seemingly random victims by means of poisons in the ink he uses to adorn their bodies. The scrap of paper found with the first body has a message that reminds Rhyme and Sachs of their first wrenching case, told in The Bone Collector. Could there be a connection? These books are definitely not bedtime reading, especially if you are alone while reading them. 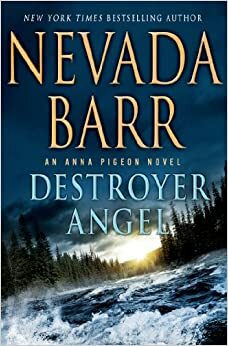 Destroyer Angel: An Anna Pigeon Novel (Minotaur Books, April 1, 2014) is the 18th in Nevada Barr's popular series featuring her federal park ranger protagonist. In this entry, Anna is on vacation, and has joined a pair of friends and their teenage daughters on a wilderness trip in upper Minnesota to test out a line of new equipment for disabled outdoorsmen. Anna goes out for a solitary canoe trip on the lake one evening, and returns to find that the entire rest of her party has been kidnapped. Far from help and in a communications blackout region, Anna must put all of her extensive tracking skills to use in rescuing her friends. Barr often begins her books with a bang, but reviewers say that the tension in this one never lets up as Anna is forced to reach deep into herself, finding a wildness and disregard for the rules that have defined her life and job that she had never suspected. While regular readers of the series may miss the various National Park settings, this book looks to be an exciting new entry for faithful followers of Anna's adventures. Having just rambled on about my caution of new authors, I will now contradict myself. Good historical fiction is always worth reading, and this debut novel by Phyllis T. Smith caught my eye. 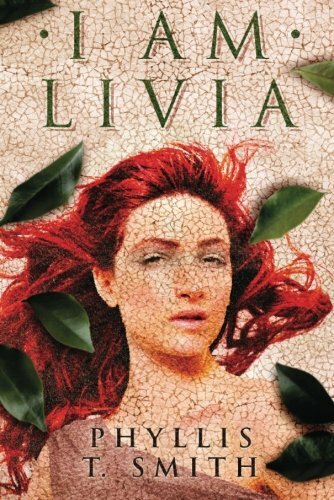 Anyone who has either read Robert Graves's I, Claudius or followed the award-winning series on PBS knows Livia as a scheming, manipulative murderess. Plotter in the murder of Julius Caesar, wife of his successor Augustus, and mother of the emperor Tiberius, her machinations helped to shape Rome's destiny for centuries. I Am Livia (Lake Union Publishing, May 1, 2014) retells this juicy tale from her perspective. Can this woman possibly have been as black as history paints her? I can't wait to find out. It is surprising that Lake Union Publishing, which is an Amazon imprint, hasn't pre-released copies for review, but I haven't found any yet. Shame on you, Amazon! Early readers and reviewers generate a lot of attention and interest in upcoming publications. Ruth Galloway, the forensic archaeologist who lives with her young daughter in the boggy fens of Norfolk, is one of my favorite characters in detective fiction. 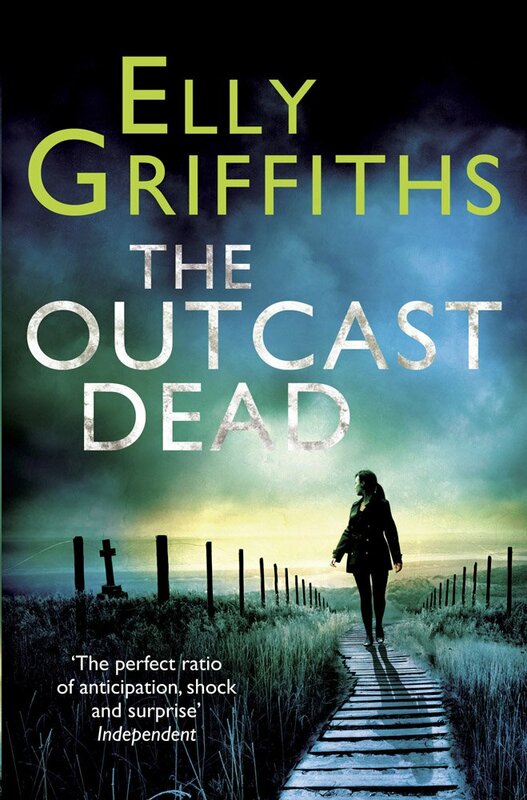 In The Outcast Dead: Ruth Galloway Mysteries (Houghton Mifflin Harcourt, March 11, 2014), author Elly Griffiths has again skillfully woven a tale of murders past and present. DCI Harry Nelson, Ruth's onetime lover and father of her child, is gathering evidence against the mother of three young children, all found inexplicably dead over several years in their home. Then a child is kidnapped, and someone calling himself "The Childminder" claims responsibility. Could the mother be innocent? The case seems to have similarities to Ruth's recent dig at Norwich Castle, which uncovered the bones of Mother Hook, a notorious child minder turned murderer, hanged in 1867. I enjoy all of the characters in the series, and look forward to visiting them in this sixth outing for Ruth and her colleagues. I know Fonthill Media as the UK-based publisher and reissuer of warcraft books, but they are apparently branching out into other genres. Archibald Gordon MacDonell was a Scottish satirist and author who died in 1941. He wrote a number of mysteries, most long out of print, under the pen names of Neil Gordon and John Cameron. Fonthill will release 16 of them over the next few years. 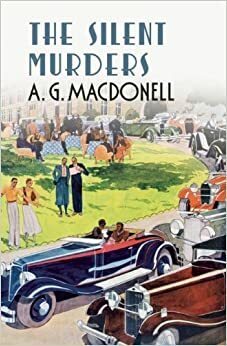 The opportunity to read a Golden Age author new to me is irresistible, so I promptly preordered The Silent Murders (Fonthill Media, April 15, 2014). It was originally published in the UK in 1929 under the pseudonym Neil Gordon. The story opens with several seemingly unconnected crimes. The only clue to the murder of the unidentified tramp known as "Stuck-up Sam" was the placard attached to his shoe bearing the word "Three." Then an important businessman, Aloysius Skinner, was shot through the open window of a taxi. A piece of white cardboard had been tossed through the window with the word "Four" neatly printed on it. When yet another murder takes place on a quiet suburban tennis court the police are baffled. And so must I be, while waiting impatiently for its release. When the prolific author of a beloved set of children's books turns his hand to writing literature for adults, the results can be unpredictable. I had been unaware that Eoin Colfer, author of the Artemis Fowl series had turned his hand to comic noir stories for adults, but Screwed: A Novel (Overlook TP, May 27, 2014) is the second in a series, following Plugged: A Novel, released in 2011. The protagonist, Dan McEvoy, is a down-on-his-luck Irish bouncer who gets, well, screwed in almost everything he tries. When a bizarre string of murders (including that of his girl friend) occurs, Dan and a raffish group of sometimes sober sidekicks take it upon themselves to solve the crime. One reviewer said of the book, "Get Screwed! Better yet, tell everyone you know to get Screwed." I'm not sure I would recommend that in too many public places, but the book looks interesting, although I may read Plugged first, as I prefer to read series in order. So there you have it; another handful of new releases on top of the already staggering list presented here on Read Me Deadly over the past week. If you haven't already committed your reading budget for the next decade or so, we'll just have to try harder next quarter. Meantime, happy reading! Gosh darn it, lady! I already get in trouble when the back statement comes in, and now I am going to cheerfully jump into the fire. I am a sucker for noir, and at least the of these are going to join the pile next to the comfy chair. Actually, I have a counter recommendation for you: there is an episodic video game out currently called, "The Wolf Among Us" where reformed villain Bigby(Big B.) Wolf is the sheriff in Fable Town. (Think the old meaning for the word ghetto, located in New York City.) They try very hard (and do pretty well for a new medium) to evoke a noir feeling. There is some comic book style gore, but by playing Bigby, you control how much is created. I believe there is also a setting to turn it down our off. Bigby's encounter with Grendel is the scene that prompts this warning.